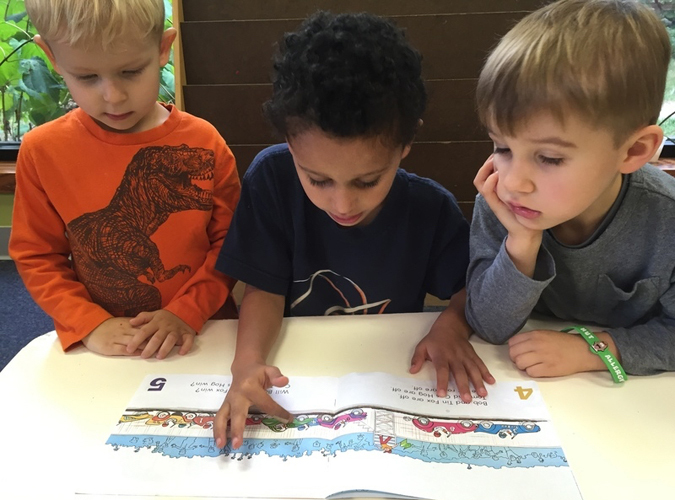 In Children’s House, opportunities for incidental learning abound; something of interest is inevitably occurring. There is always a chance to check on what’s happening at the next work rug or to observe a presentation for a more advanced material. 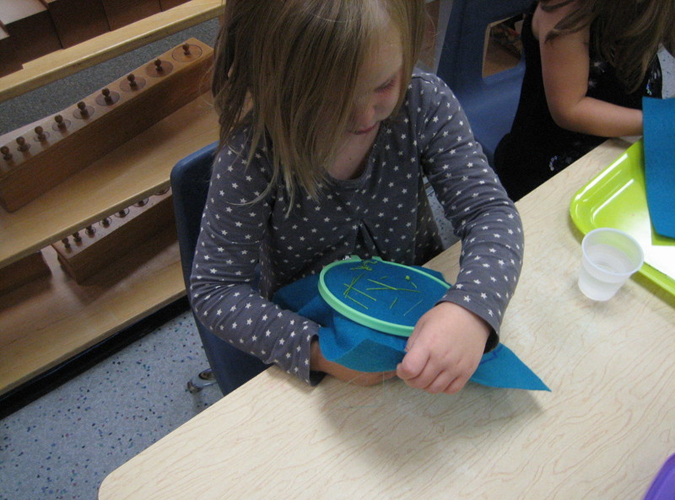 The Montessori multi-sensory materials and curriculum allow for hands-on learning through unhindered exploration. 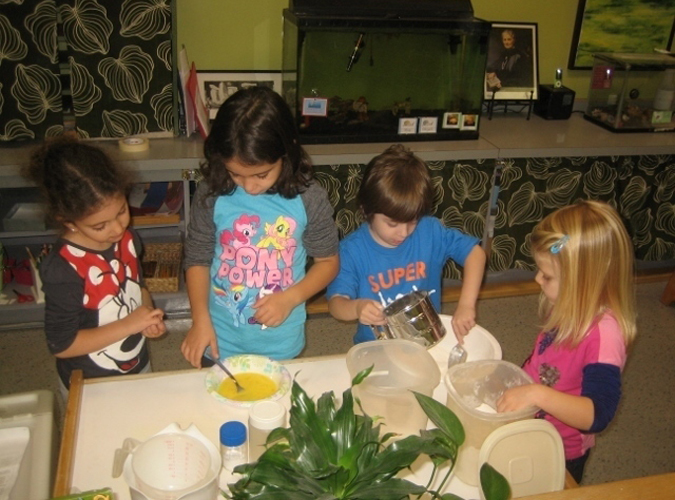 Our teachers prepare the environment to encourage students to choose challenging activities, work independently and develop self-confidence, concentration and responsibility. Classes are arranged in three year age groupings, encouraging younger children to observe and learn from the older students. 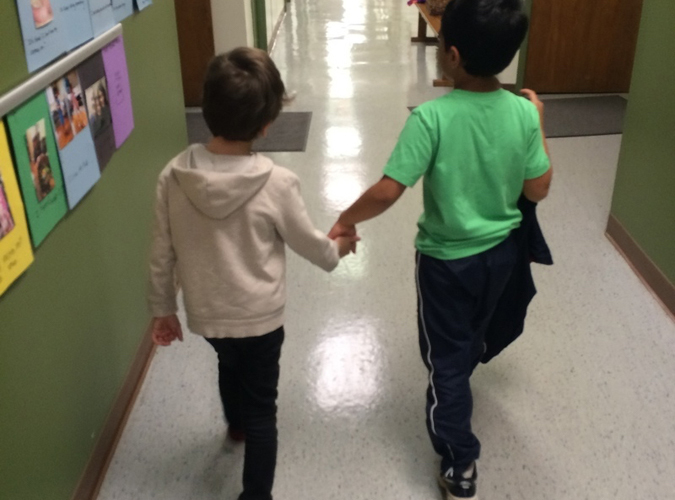 In turn, older peers have an opportunity to reinforce their skills by helping their younger classmates. 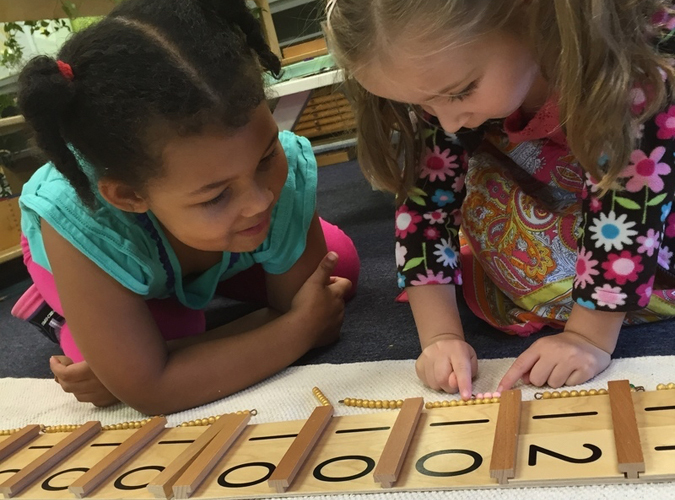 During this time period, children refine gross and fine motor skills, build perceptual and language skills, and have a natural inclination towards mathematical and scientific thinking. 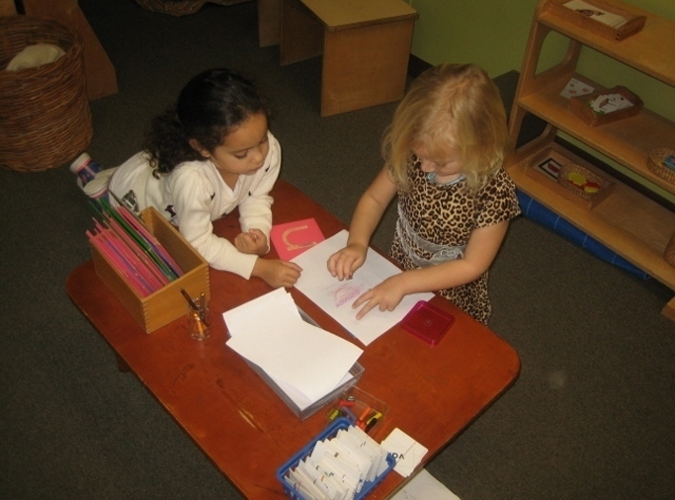 As we know, children develop at their own pace. 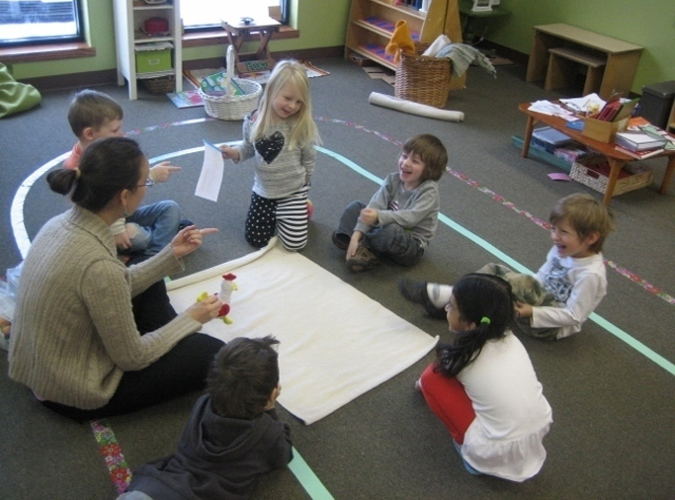 The teacher continually seeks to broaden each child’s horizons academically, socially, and emotionally, presenting new experiences and inviting the child to reach to the challenge of new territory to be explored. 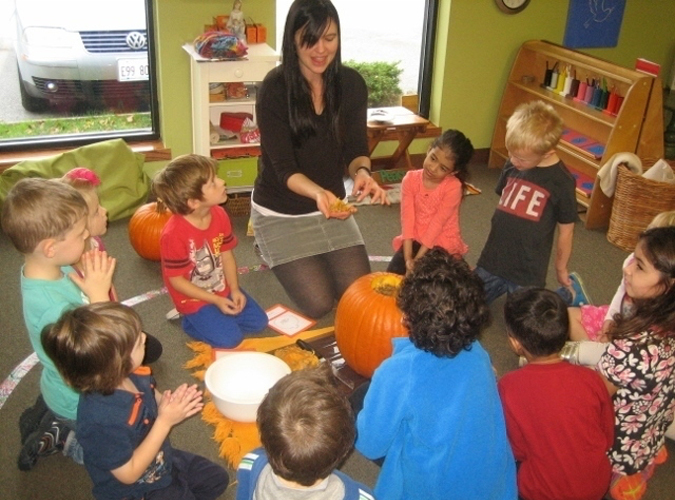 Our schedule also provides for group activities from daily community time to music and Spanish enrichment each week. 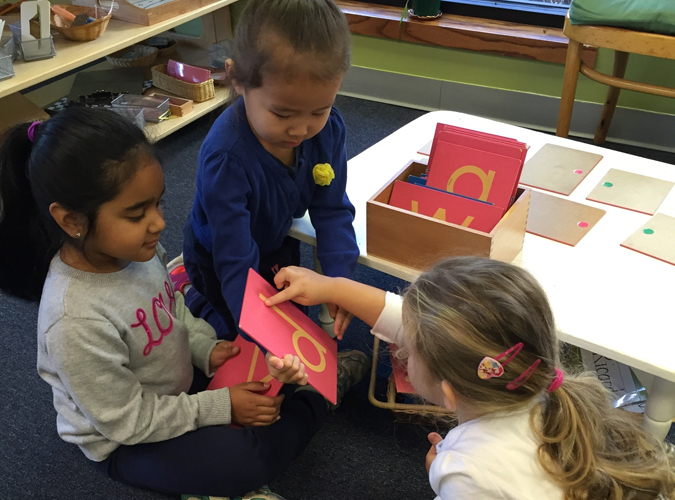 Here’s a glimpse at a vibrant Montessori classroom and the importance of the three year cycle in this video developed by the national Association of Montessori Schools (AMS).